Disney Hyperion sent us a copy of The Itchy Book to check out and is partnering with me for a giveaway! Elephant & Piggie Like Reading! has been one of our family's favorite beginning-reader series since it debuted in 2007. The series, which focuses on friendship in an easy to read, conversation style format with bright colorful illustrations are perfect for young readers ages 6- 8 years. 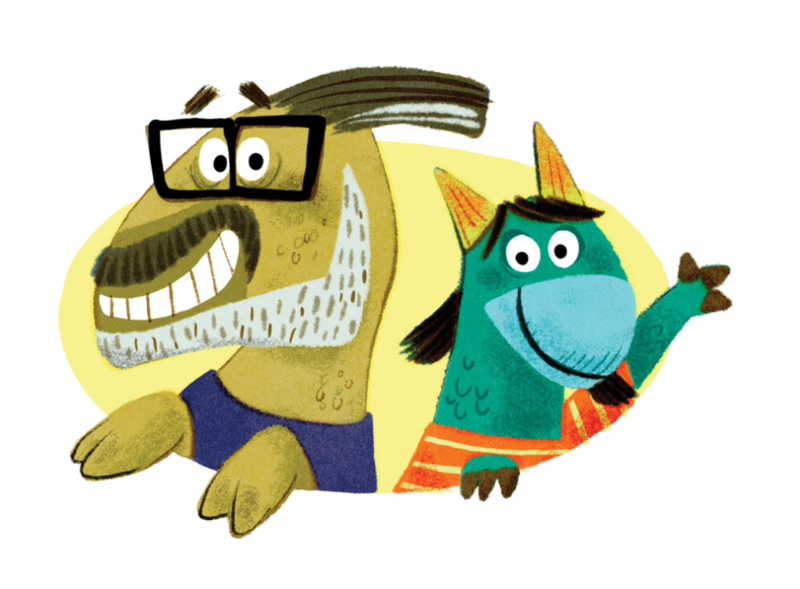 Pair this with LeUyen Pham's detailed and hilarious style and you have an all-new Mo Willems/ LeUyen Pham collaboration kids will be itching to get their hands on. 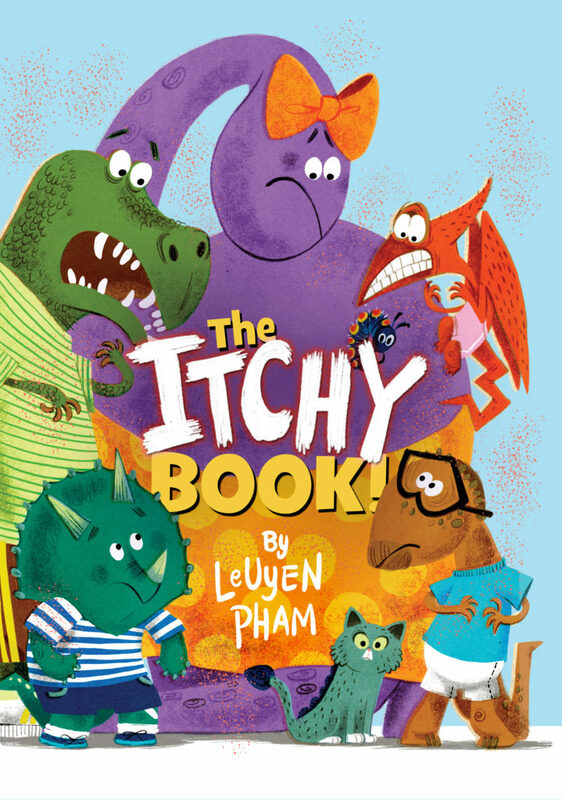 The Itchy Book, a story about a group of dinosaur friends dying to scratch, is now available in stores everywhere. 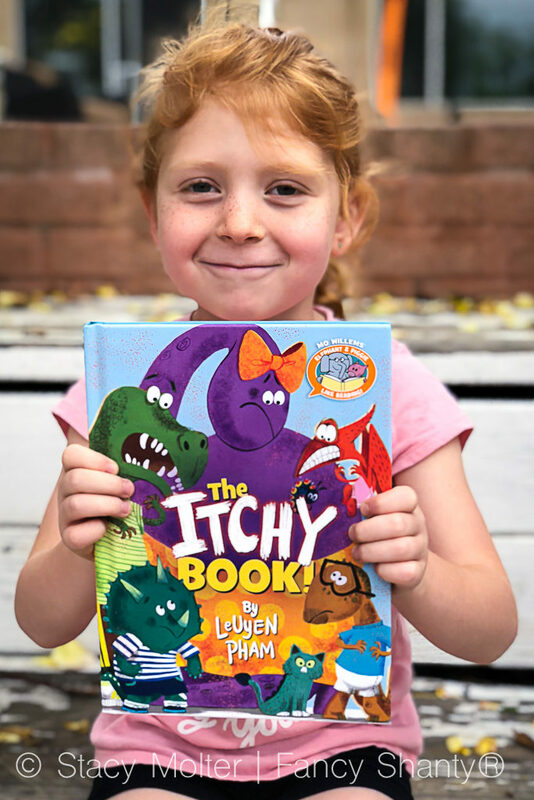 And, to celebrate the debut of this new book, we're giving away a copy of The Itchy Book along with a dinosaur backpack and a branded back scratcher! Elephant & Piggie introduce young readers to a group of dinosaur friends with a common problem, they itch. Triceratops has an itch. So does Pterodactyl and Brontosaurus and T-Rex! But, when they try to itch and get some relief, Dino-Mo reminds them all of the BIG rule: Dinosaurs do not scratch! So, what’s an itchy dinosaur to do? Find out in this hilariously charming beginning reader by author/illustrator LeUyen Pham. plus a dinosaur backpack and a branded back scratcher!